Australia is a paradox of isolation and connectivity. As a lone geography located between the Indian Ocean and the South Pacific Ocean, this former British colony is the smallest continent in the world. Globalization has not failed to weave the island into its tapestry, and the country’s hermetic remoteness is juxtaposed with a global mosaic of cultures and peoples. Its multihued landscape of deserts, tropical rainforests, beaches, mountains and coral reefs lends charm to this island-continent. The name Australia is derived from Latin ‘Terra Australis Incognito ,’ which means the Unknown Southern Land. During the 18th century, Britain was split apart by the Industrial Revolution, driving thousands to the cities. Crime soon became a necessity for the underdogs and prisons overflowed. The solution was Botany Bay, Australia, an island that had hardly come under human eyes. In 1788, thousands of convicts disembarked onto the island. The majority were poor, illiterate and driven to petty theft and other small capers. Botany Bay became home to not just British and Irish prisoners, but surprisingly to American, Chinese, Indian, French and Africans as well. It is estimated that 22% of Australia’s population today has a convict ancestor. 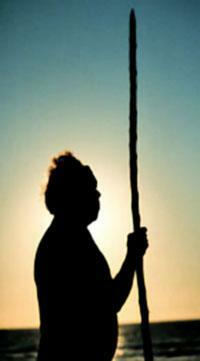 Today, Australia’s true inhabitants, the aborigines, have dwindled. The aborigines numbered a few 100,000 before the country was reined in under the British thumb, but after two centuries, they now make up a marginal 2% of the population. The rest of the 98% comprise the transient émigrés – the Europeans and Asians. The territory has been home to the aborigine for at least 50,000 years but in an ironic twist, they gained their full citizenship only in 1967. This was also the time of the ‘bridgehead economy’ when land grants were authorized for senior officials and agriculture thrived. With more convicts pouring in, the skill pool increased to include traders, artisans and clerks. 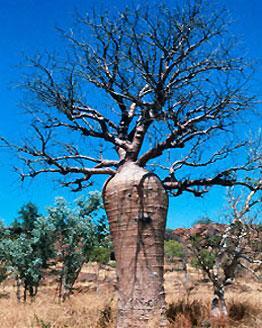 Found only in Western Australia’s Kimberley region, some Boab trees are close to 400 years old. These bulbous shaped trees, with trunk girths up to 5 meters, were used early on in Australia as makeshift prison cells.Today, aboriginals use these trees for shelter, food and medicine. Local manufacturing and construction industries began to flourish apart from agriculture to meet the needs of the growing population. Rapid progression gave rise to the establishment of free colonial societies. By the 1850s, five colonies – New South Wales, Western Australia, South Australia, Queensland and Victoria – formed the basis of today’s Australia. In the late 1880s, nationalist sentiment reached a jingoistic peak, leading to the formation of the Commonwealth of Australia in 1901. The new Federal government was given free will and powers overseen by the Crown. Years of racism and discrimination after the exit of the colonizers have now given way to more benevolent policies. A controversial directive was the White Australia Policy, enacted in 1901 during the forming of the Federation of States. This aimed at restricting the entry of immigrants from Asian countries. In those times, entrants into the country were selected on a variety of desirable factors. This extremely colored policy was abandoned in 1972. Integrating into the global scene has always been easy for Australia. Its flexible and complaisant attitude, especially with regard to women, was evident as far back as 1894 when South Australian women were granted the right to vote, even before the formation of the federation. In 1903, they exercised their rights for the first time in a national election. Today, Australia is one of Asia-Pacific’s richest democracies. The country, known officially as the Commonwealth of Australia, functions as a federal constitutional monarchy under a parliamentary democracy. The head of state remains Queen Elizabeth II of England. Australia’s society is shaped by its immigrants. As a result, the island is a confluence of Aborigine, Western and Asian cultures. But at its heart, Australia has a unique culture of its own. Warm and sunny weather throughout the year has fostered an outdoor loving and sporty population, with 23.5% of Australians over the age of 15 regularly participating in organized sporting activities such as cricket and rugby. Surfing is one of the most popular activities and people take pride in their surfing expertise. As well, Australians take to the mountains, trekking up the trails and exploring the terrain. These same rugby crazy, surf loving, adventurous Australians can be found lounging in a hammock with a chilled beer. But then that is the mark of a true Australian- serene and dynamic. This dynamism is expressed in the Australian forward-thinking mindset and spirit of innovation. A well educated society, Australia now ranks third in the world in human development, higher than all other English speaking nations. Whether it is the National Gallery of art or the architecturally significant Sydney Opera House, the typical Australian personality is expressed with a liberal and broadminded outlook, which absorbs the world like a sponge and accepts its varied ways. 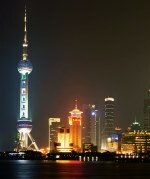 Australia’s uninterrupted economic expansion for more than two decades is the envy of many other developed economies. Naturally blessed with fertile lands and hidden treasures beneath, the open economy also boasts of a well-educated workforce and a vibrant services sector. Openness to trade and investment, business-friendly regulations, and strong economic ties with Asian economies are key factors that have contributed to Australia’s success. Australia’s aboriginal culture can lay claim to being the oldest on the planet, dating back to between 40,000 to 60,000 years. 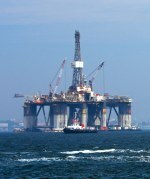 Australia has vast reserves of copper, coal, iron ore, gold, natural gas, uranium and renewable energy sources. The country is also the world’s largest iron ore exporter. Without question, it was the insatiable demand for resources and energy from Asia, especially China after the onset of the millennium that propelled Australia’s ascent to an economic powerhouse. The booming resources industry also helped the country emerge as a global leader in the manufacturing of mining equipment and a leading provider of allied services. Despite the volatile prices of export commodities, natural resources constitute an important part of the economy, contributing about 7% to its GDP and bringing in sizable foreign investment. Still, the services sector, which accounts for about 70% of Australia’s GDP and three-fourths of jobs in the economy, is the largest segment in the economy. Historically, the banking sector in Australia was always tightly regulated. Until the 1980s, it was nearly impossible for a foreign bank to set up a branch. In 1983, the Australian financial services industry began to open up and the then Treasurer, Paul Keating, deregulated the system by granting licenses to foreign banks and floating the Australian Dollar. 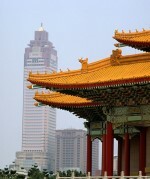 The country’s banking sector remained relatively resilient during the global financial crisis of 2008-09. Besides banking, a thriving tourism sector also contributes substantially to economic growth. Australia’s education sector attracts foreign students in droves, especially from Asia, who are drawn by relative affordability and high academic standards as well as the prospects of becoming permanent legal residents in a developed country. The country’s modernized agrarian sector is globally renowned for its high-quality wines and processed food. Among other growth drivers, high-end manufacturing and biotech are industry segments that receive huge investments from the government. Industries such as pharmaceuticals and defense deserve special mention in this context, though high wages act as a dampener on Australia’s competitiveness. Until about the 60s, the U.K. and the United States were Australia’s major trading partners. Given its close historical ties with the United Kingdom, Australia has been able to cement the bilateral relationship in the areas of culture, trade and investments. 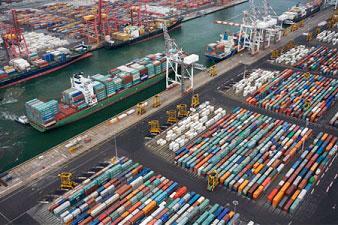 The opening up of the country’s borders to global trade helped to increase productivity and boost growth. Over the years, Australia has shifted its focus of trade from Europe to the Asia-Pacific region, with Melbourne serving as the country’s busiest seaport. The bustling city is also the hub of Australia’s automotive and technology industries. An active member of trade bodies such as the World Trade Organization, APEC (Asia-Pacific Economic Cooperation), and G-20, Australia has free trade agreements with countries such as China, Japan, South Korea, Chile, New Zealand, Malaysia, Singapore, Thailand, United States and Canada, not to mention close ties with neighbor New Zealand and the ASEAN (Association of Southeast Asian Nations) group. To put things in perspective, about 73% of Australia’s trade is with the APEC countries. Besides Asia, Australia also has strong trade links with the Middle East and Africa region, as well as with the fellow members of the British Commonwealth. Australia’s extensive trade relationships with countries far and wide could be seen as a natural extension of its reputation as a vibrant, multicultural nation. About a quarter of the country’s population was born overseas, according to the website of the Department of Foreign Affairs and Trade. About seven million people have made Australia their home since 1945, thanks to the island-nation’s open-door policy. Small wonder, the country has a multicultural, multilingual workforce that contributes immensely to its economy. The skilled workforce also attracts foreign investors to set up shop in Australia. Its well-established research institutions and the culture of innovation offer growth opportunities for multinational firms. Australia has shifted its focus of trade from Europe to the Asia-Pacific region, with Melbourne serving as the country’s busiest seaport. The bustling city is also the hub of Australia’s automotive and technology industries. China has remained Australia’s faithful trade partner in boom and bust, devouring raw materials as it went on an infrastructure building spree, and sending its tourists and students across amid the commodities downturn. Of course, the unprecedented mining boom at the turn of the millennium, spurred by increased demand from China, pushed household incomes and wages substantially, which gave a big boost to purchasing power. In fact, it has been pointed out that other than China itself, Australia was the single biggest beneficiary of the industrialization-led growth spurt in the Middle Kingdom. However, a closer look would show that deft planning by successive governments in the 90s and the early years of the current century, not just luck, ensured moderate economic growth even when the chips were down. Prudent spending and tight budgets kept the country’s fiscal situation sound, which came in handy when the financial crisis struck. Australia’s “pivot to Asia” strategy seems to be working well, going by the statistics from services sectors such as education and tourism. The vast country, the sixth-largest by land mass, has a population of only about 24 million, a key factor which gives the government the leeway to encourage migration without fear of public backlash. What’s more, many of the potential immigrants, mostly from Asian countries, are well-educated and can readily contribute to the country’s economic growth. Australia attracted foreign investments and made rapid strides in trade, thanks to its investor-friendly, open-minded approach. According to a World Bank ranking, it takes just three days to start a new business in the country. On the downside, Australia’s revolving-door leadership tends to affect policy continuity as politicians focus more on frequent elections rather than on governance. The government’s pro-immigration policy appears to touch a raw nerve with certain sections of the Australian society. Most importantly, any prolonged downturn in China would be damaging to the country’s economic fortunes given the close bilateral ties. An aging population and the resulting increase in health care costs as well as the environmental impact of climate change could be of grave concern to the economy in the long term. Gauged by developed world standards, Australia has a creaking transport infrastructure that needs fixing. Yet, it is fairly evident that positives outweigh negatives in this “lucky country” that looks poised for a brighter future.